The client: Carmichael have designed and manufactured labelling machines used by the world’s largest brands. With this brainchild, they sought to transfer their experience of bespoke machinery in exacting conditions to befit specialist vehicles with the full ability for the task. The challenge: To overcome the considerable engineering challenges in designing and manufacturing the world’s first linear rinser, filler and crowner to fit into a confined space of a 30 feet container. At the same time it was imperative to provide unique, automatic, ‘in line’ carbonation facilities to meet the requirements of the craft brewing sector. How can we take the technology developed for the world’s biggest brands and tweak it to advance the ventures of the independent business? This challenge was one of scale. 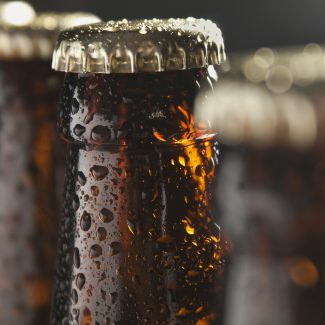 The desire was to design and develop in-line carbonation facilities along with the associated software, so the client can taste and modify the beer and carbonation levels to suit while processing. This allows pin-point production on the day. Meeting all quality and safety standards, the mobile micro brewing line maintains efficient operation in just a 30 feet space. 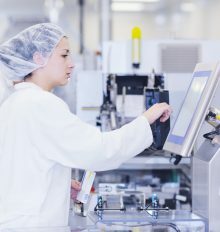 Software was developed for automatic operation of all processing and bottling equipment, with the ability to remotely access, interrogate, and modify it as required. In other words, the control system is fully integrated with access to all the processes. Complying with industry safety requirements was essential. Novel light beams where developed plus guarding in an extremely confined area. Ultimately, a comprehensive compact filtration system was developed to provide the customer with several filtration options, including sterile filtration. A truly unique development running at 30 bottles per minute. This significant challenge accommodates small batches in a confined space and without normal accumulation facilities. The installation ensures that fragile equipment is transported successfully by road to customers’ premises without damage, thereby allowing them to complete their product cycle prior to entering the market.